Choosing a name for your yellow Lab sure can be a challenge! Especially since there are so many great yellow lab names. Even more difficult when you realize how many different shades of yellow a Labrador dog can display in their coat! But don’t worry, you’ve have come to the right place. 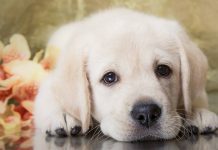 In this article, you’ll hopefully find all the inspiration you need one of these yellow lab names is sure to fit your sweet yellow Lab to a T! Choosing names for yellow pets can be challenging enough on its own. 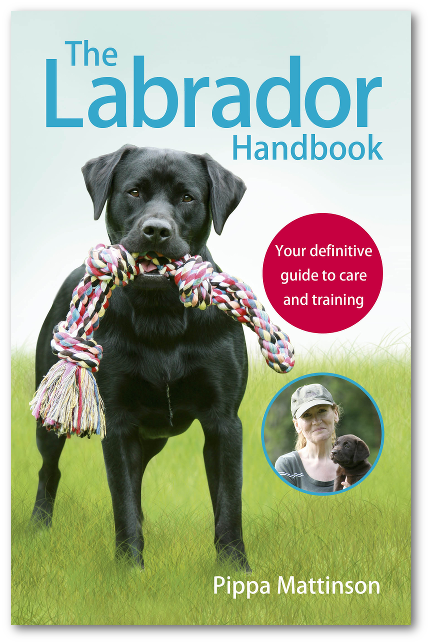 But consider this: the Labrador retriever is the number one most popular dogs in the US and has been for the past 26 years and counting—wow! 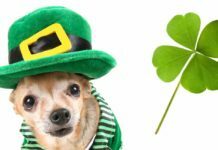 What this means is that you are likely to run into plenty of other Labs and their owners at the dog park, beach, hiking trails, and even your local fire hydrant. So you’ll want to pick a sufficiently unique name that won’t send every yellow Lab in the area running towards you! Plus, you’ll be calling this name a lot over the next several years, so it’s best to pick a name that’s easy and comfortable to say out loud— at home and in public. Just picture yourself running up and down your street yelling “Mr. Sassy Herring Lacy Pants” five or 100 times to understand why this is so important! Here are a few helpful hints to guide you towards picking the right name for your yellow lab. First, you may want to try to stay away from any name that sounds too much like the name of a fellow family member or friend. Especially if you suspect this person might not appreciate being your pup’s namesake. Also, in some cases, choosing a shorter name (three syllables or less) can be easier to say and also easier for your lab to hear. Finally, you may want to think twice before picking a racy or confrontational name that could be taken the wrong way by others. 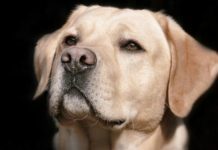 As you browse through these yellow lab names for males dogs, always bear in mind whether you’d like to opt for a trendy (currently popular) yellow lab name or go for a more classic name. Both are great options, but of course, the choice is all yours! Find some more awesome male yellow lab names here. Here are some of the top trendy female yellow lab names popular right now..
Find some more wonderful female yellow lab names here. Did you know there are as many as 17 different color variations in the yellow lab coat? The coat color can vary from palest white/cream (called light cream in the breed standard) all the way to deep red with yellow undertones (known as fox red). 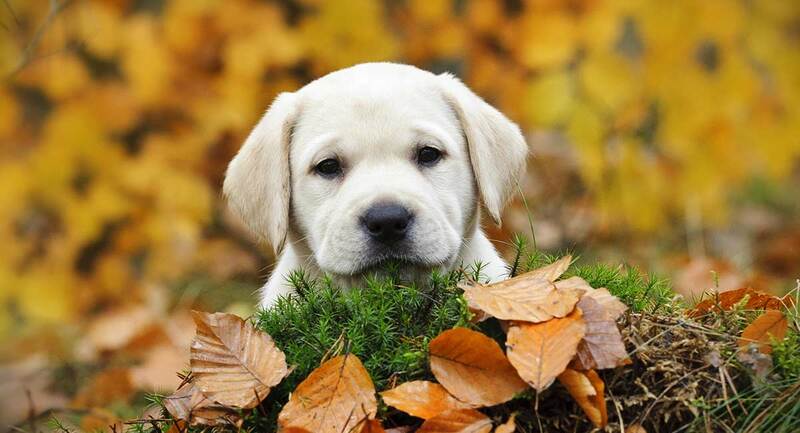 In addition, your yellow Lab may grow up to display deeper color points on their ears, back, and underside! 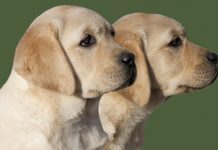 Here are some unique yellow lab names based on coat color that may just work perfectly for your new yellow furry love. Find more unique female yellow lab names here. 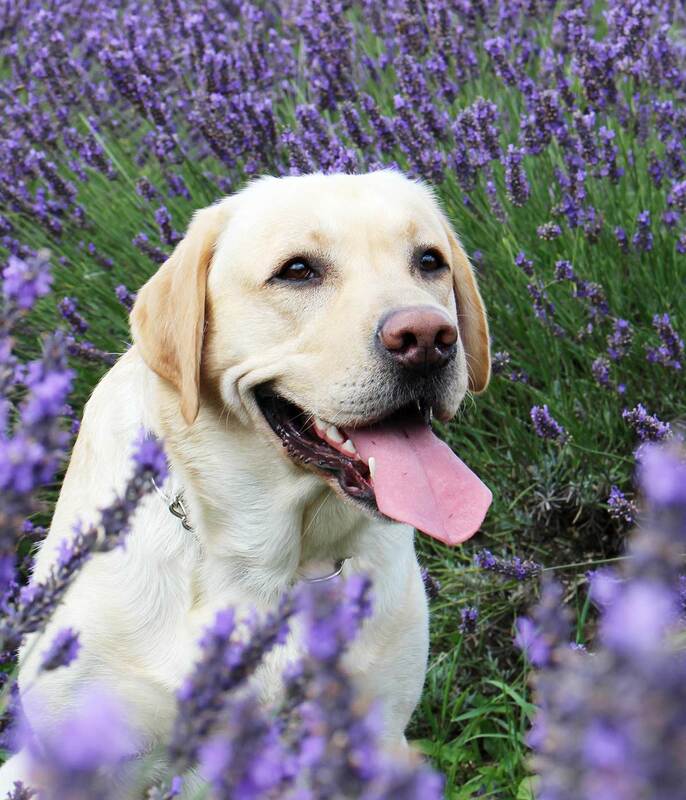 These calm, cool yellow lab dog names are perfect for a pup with a laid-back personality! Find more cool yellow dog names here. These funny names are fun to say and always good for a laugh! Find more funny yellow Labrador names here. Is your yellow pooch a real rough-and-tumble pup? One of these tough yellow lab names may just be the ticket! Find more tough yellow lab names here. Is your yellow love already a big brain in a little puppy body? You may want to choose one of these smart yellow lab names! The number one consideration when choosing yellow lab names for puppies is to make sure you pick a name that your pup can grow into! After all, someday that plump little bundle of fluff is going to be a whole lot taller and much bigger! 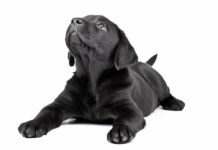 Here are some great yellow lab names for a puppy that just sound better with age! Find more yellow lab puppy names here. 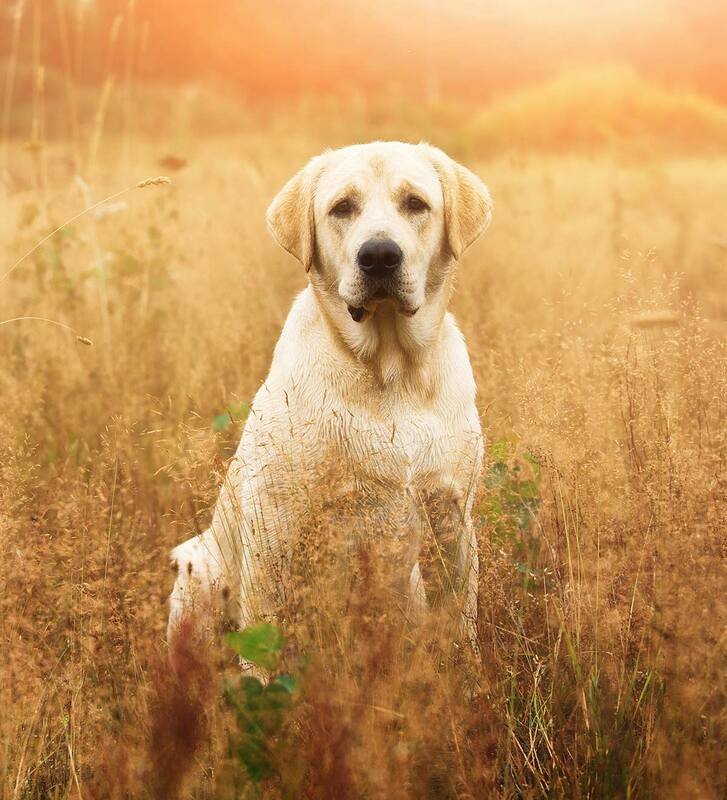 Are you and your yellow lab hunting buds? These yellow lab hunting dog names are perfect for when you’re on the hunt together. 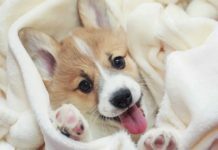 These cute male yellow lab names and equally cute female yellow lab names are sure to bring out the cuteness in your yellow furball! Which Yellow Lab Names Will You Choose? We hope you’ve enjoyed reading through this carefully curated list of some of the best yellow lab names! Have you found the perfect name for your yellow pup? 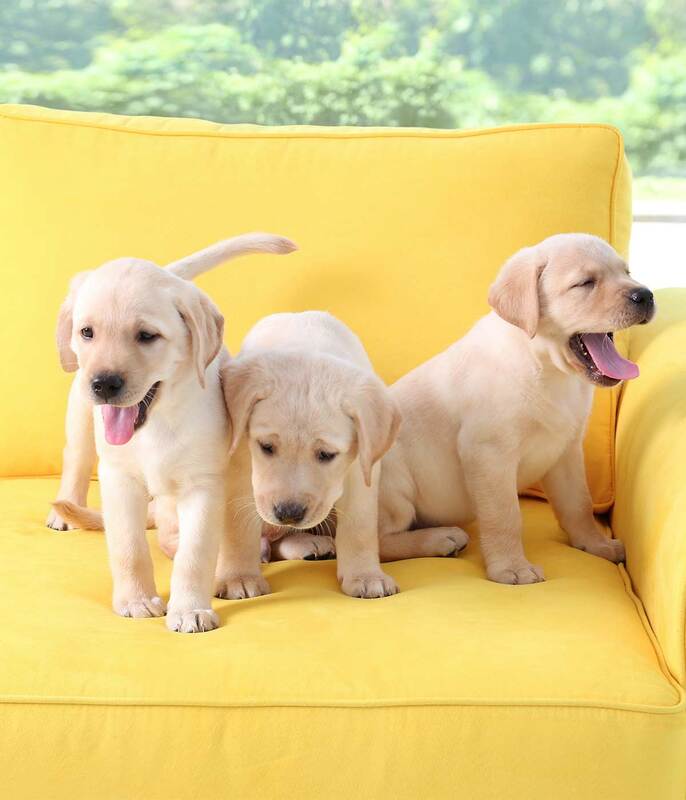 Post a comment to let us know which yellow lab name you choose and why! Coren S. 2011. The Art and Science of Naming a Dog. Psychology Today. My yellow Lab’s name is Clancy. I have two labs named Lexi and Honey Bee (Honey for short) Lexi is 5 yrs and Honey Bee is 7 wks old she’s brand new!